Cat Chat With Caren And Cody: A vote for CODY is a vote for MOUSIES!!!! A vote for CODY is a vote for MOUSIES!!!! 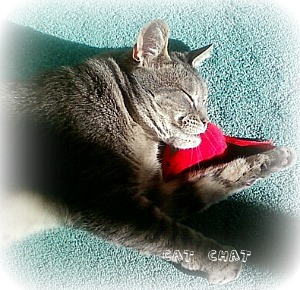 over at Sammy's blog "One Spoiled Cat"
when not batting him into oblivion! while he dreams about him! to go to Sammy's blog and vote! pleading Petties peeps, this means YOU! We just voted for Cody. Good luck. @Molly thank you!!!!!!!!!!!!! Have a great day! Hodwy! Can,t stay, gotta go vote! Off we go (to vote, that is)! We voted for ya. Too cute. We thinks you really like that toy Cody. Thanks so much for all your well wishes for Mahoney. Hi Cody you just got our vote and we noticed you're in the lead. Good luck Sheba and Cody. Cody surely does love that mouse! Off to go vote now!!! I love this photo of Cody - it's so sweet! YAY!!!! Thank you soooooooo much everyone!!!!!!!!!!!!!!!! We just came from voting for you...and you're in the lead!!! Yay we hope you win. Sweet Cody, we're going over now. Purrs and good luck! Will yous hates me if I win? Maxwell: *raises paw* Dude, normally I would vote for you, but, uhh... Faraday said he knows where I sleep. THANKS TO EVERYONE WHO VOTED!! I WON!! blog post will be up on Thursday! @Rykers I hear ya pal!! No worries! !